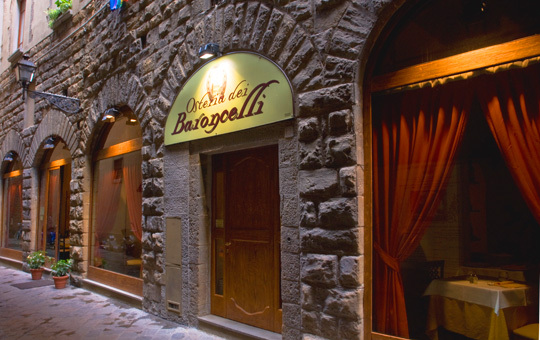 “Osteria dei Baroncelli” is located in the former residence of the noble Baroncelli family, an old-fashioned 13th century mansion between via Lambertesca and Piazza della Signoria. The restaurant, renovated in the style and tradition of the historical centre, can seat 300 people and offers typical Tuscan and Italian specialities prepared with all the grace and passion of our Chef and offers a wide selection of wines. Osteria dei Baroncelli is within walking distance of the main historical monuments in Florence, so is particularly suitable for tourist groups.